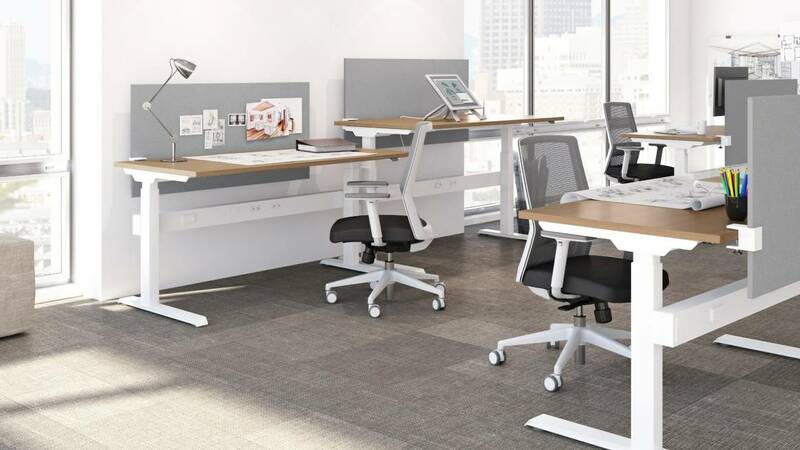 AMQ specializes in supporting open plan design ideas with height adjustable solutions, benching and seating for collaborative environments that ship in just 5 days. Headquartered in Santa Clara, CA, AMQ was founded in 2009 by industry veterans whose goal was to provide contract furnishings through in-stock availability, short lead times and low priced products. AMQ has executed on this vision as a result of market demand for well-designed, high quality, affordable products, responsive service and five day lead times. AMQ products are Greenguard or MAS Green certified and meet or exceed all applicable BIFMA requirements. Worksurfaces are made of 100% recycled materials, and all other products include more than 80% recycled materials.